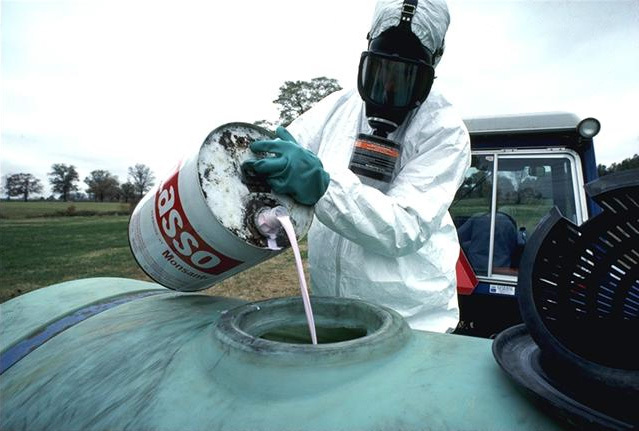 The Revised WPS requires that when a pesticide label requires a handler to wear a respirator, the handler’s employer must provide them with a medical evaluation, fit test, and respirator training. Under WPS, it doesn’t matter if the person is a private applicator, commercial applicator, or neither. If the person is handling (mixing, loading, applying or any of the other handler activities) and the label requires the use of the respirator, the handler must receive those protections. The grower is the owner of the agricultural establishment and does not employ any handlers. The grower/owner does all of the mixing, loading, and applications including products that require respiratory protection on the pesticide label. In this case, the grower/owner is the handler and must provide him/herself with the medical evaluation, fit test, and respirator training. The grower is the owner of the agricultural establishment and does not employ any handlers. The grower/owner does not do any handling activities. Instead, the grower’s/owner’s son does all of the mixing, loading, and applications. In this case, the grower/owner must provide his/her son with the medical evaluation, fit test and respirator training, if a respirator is required by the labeling, because he is the only handler. The grower/owner does not have to provide him/herself with the medical evaluation, fit test, and respirator training. Per the November 2, 2015 revision of the Federal 1992 WPS regulation, the compliance deadline for these respiratory requirements was delayed to January 2, 2017. See the Rutgers Pesticide Safety Education Program’s WPS website for resources, and additional information.